There is more to cocktails than just throwing a few different ingredients together. There is a whole lot of science behind every seemingly irrelevant aspect of making a quality cocktail. From glass selection, stirring, straining and even the choice of ice used. Getting each of these many tasks just right will create a more flavorsome cocktail. But fear not, creating and serving amazing cocktails isn’t rocket science. With just a little education and practice you’ll be knocking out masterpieces in no time. And everything you need to know is in our handy cocktail tips and tricks guide. It’s always best to start at the beginning, cocktail basics, or cocktails 101 to make it feel more like the start of a new university course. Not wanting to scare anyone off, but there is a lot to learn. 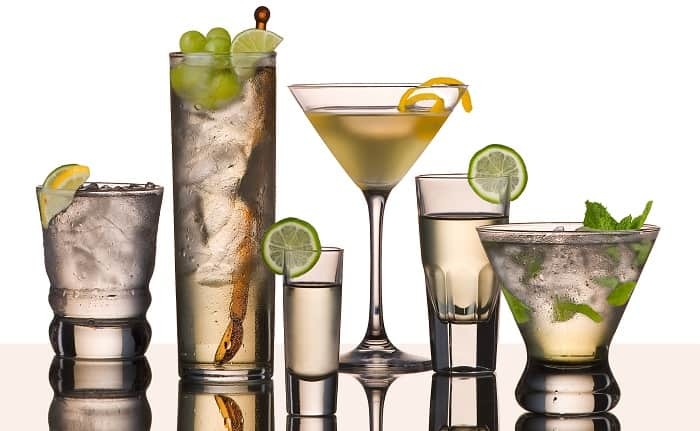 However, you’ll have a lot of fun, and maybe a few hangovers, in mastering our selection of cocktail tips and tricks. Here are a few pointers in learning the basics. Firstly, every bartender needs the right set of tools. Amazingly the basic cocktail toolkit for a mixologist today is pretty much the same as when his granddad would have made cocktails – as many cocktail tools have been around for centuries. So let’s start by looking at the one piece of equipment that even a non-drinker knows. The tool that adds the entertainment to proceedings – The cocktail shaker. There are three main types of shaker, and each one has their fans and detractors. But one things for sure, if you’re going to make cocktails, you need a shaker. So a shaker is a must, but what other tools are needed? This all depends on the cocktails and how complete a toolkit you want. 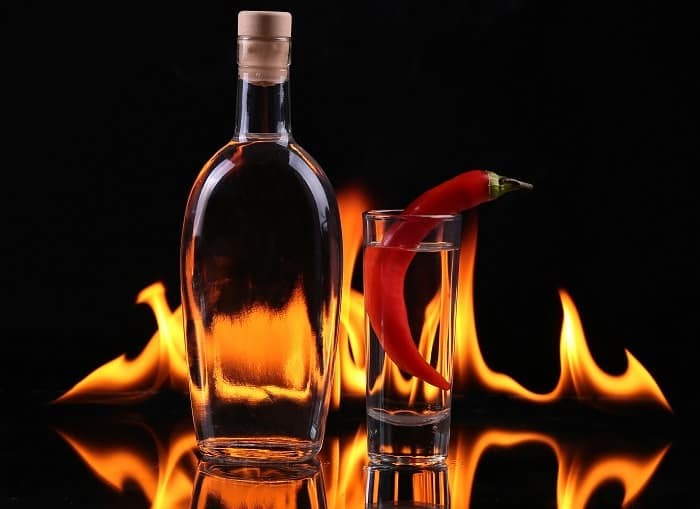 Many items are not essential and can be replaced by common household items, like a shot glass could be used instead of a jigger, a tea sieve as a cocktail strainer, etc. Here is a list of equipment and you can decide what you need. 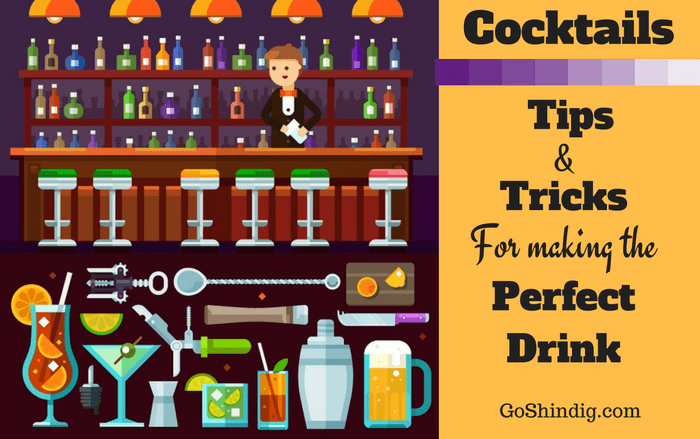 Now you have your cocktail toolkit there are a few more basic tips you need to learn before moving on to the good stuff – making cocktails. Now you know the basics, it’s time to put this knowledge to good use by making some cocktails. It’s the only real way of mastering many of the skills needed to build the perfect cocktail. So let’s get our hands dirty and practice all the following cocktail building techniques. Yes, that’s right, make it yourself. Of course it’s easier to just buy your own mixers, but you’ll be surprised how much better you can make the taste of any cocktail by acquiring the skills of making mixers from scratch. And if you’re making cocktails to drink yourself, then you can customize them to suit your own taste. Many how-to tips and tricks have already been covered in the sections above, like how to make x mixer, or how to use a certain piece of equipment. But some cocktail making techniques don’t fall into any of the listed categories, so here we clean up any cocktail how-to tips and tricks we have missed. Cocktails are meant to be beautiful and eye catching. This is sometimes done with wonderfully unique glassware, or by mixing in unusual drink colors, such as blues and greens. But more often than not, the most stunning of cocktails are accompanied by lovely garnishes. Here are some tips for making your drinks a work of art. There is always something new to learn, even for a master mixologist. Reading up on the already mentioned subjects will definitely be enough to make any drink, but why leave it at that, keep your education going. 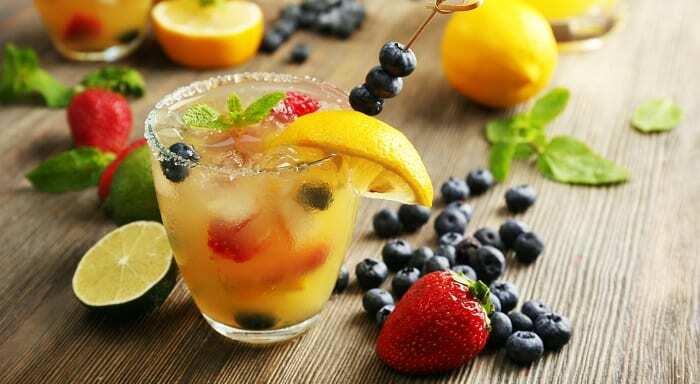 Here we have a list of miscellaneous cocktail tips and tricks to give you more ideas.